Woman claims drinking her own PEE has made her healthier! Health fads come and go, but here's one that you may want to give a miss! You've heard the saying 'an apple a day keeps the doctor away', well how about a glass of PEE a day? 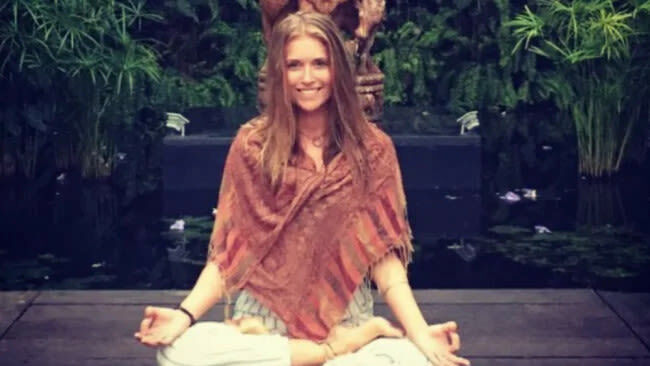 Meet yoga teacher Kayleigh Oakley from Kent, UK. For the past few years Kayleigh has been drinking her own URINE and, she says, she's never felt better! I was in India a few years ago and I came across it and I thought I'd give it a go! The practice, known today as urine therapy, dates back to ancient Rome, Greece, and Egypt and research suggests it has been used to treat everything from acne to cancer. It's the first one of the morning and it's mid-stream. I drink it neat. So how does it taste? According to Kayleigh, not too bad. I follow a raw vegan diet, so it doesn't really taste of much. And Kayleigh doesn't just drink it, she says she also uses her urine as a moisturiser. This article first appeared on CapeTalk : Woman claims drinking her own PEE has made her healthier! Last year Sabrina Rupprecht sold her entire collection to a single buyer in the United States. A CapeTalk listener and SA expat in Chicago chats to Sara-Jayne King about the extreme cold they are experiencing. Kyle became a sperm donor five years ago and, aside from expenses, donates his sperm for free. Is sugar addiction a real thing? Experts say there are ways we can minimise sugar cravings and even EAT certain foods that will lessen our desire for sugary treats. Dr Josh Klapow explores some of the more difficult dynamics in father-son relationships.